It’s definitely that time of year…wedding season! Such a wonderful time of life when brides are working hard to make their dream wedding vision a reality! She’s getting all her bits and pieces ironed out for the style of her big day – party favors, decorations, menu, signature cocktails and so much more. Not only is the Bride working her magic, but her made-of-honor and bridesmaids are busy too handling bridal showers and bachelorette parties, making sure each detail shines like the bride herself! Speaking of shining…I’m sure you’ve caught on to the gold trend over the past year or so?! It’s that perfect, sparkly, glamorous touch to every event! Over on my Etsy shop, I’ve been busy creating custom orders for weddings, parties and celebrations of all sorts! I just love these super popular and trending banners with fun sayings like “POP FIZZ CLINK” and “EAT CAKE” and “SWEET TREATS” and CUSTOM HASHTAGS and “FUTURE MRS….” and, oh I can just go on and on! Have you been to a wedding or party lately with great decorations that caught your eye? They are so much fun and really lend a custom festive touch to every event! If you’re interested in seeing what else I have over in my Etsy shop, be sure to head on over here! 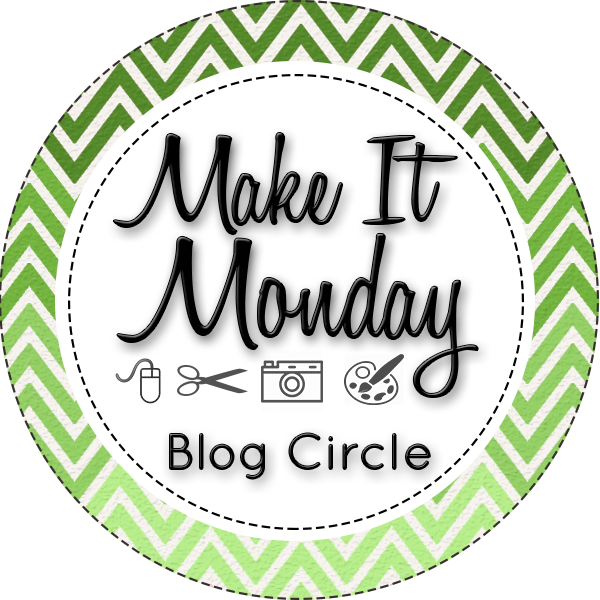 Welcome to another Make It Monday circle! 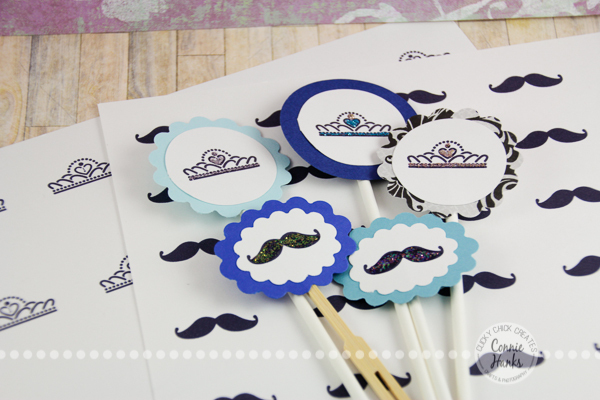 I’m so excited to share these cupcake toppers I recently made for the Father-Daughter Dance “Mustache and Tiara Ball II” at my girls’ school! It’s an annual event and I LOVE that my girls and hubby enjoy their big night out, getting dressed up, going out to a nice dinner, and overall having a ball! My baby is in kindergarten this year, so she was thrilled to get to go too. My 2nd grader wasn’t thrilled to have sis in tow as it’s she had 3 years of going solo with her Daddy! Ah, sister drama! 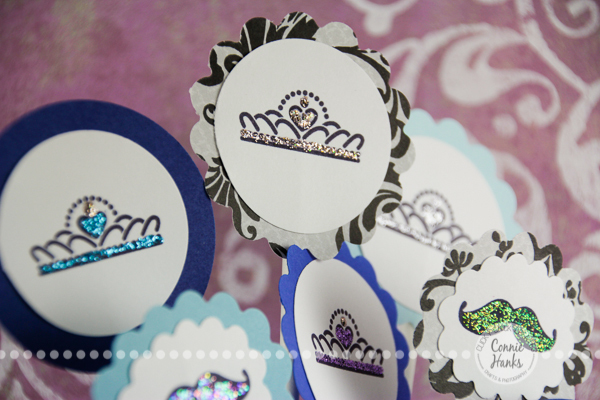 But I digress… I had a blast making these cupcake toppers for the big night. Our school is definitely full of loving parents who volunteer their time and talents (along with their treasures!) to the school, and these toppers were going to be paired with yummy cupcakes prepared by other mommies! Did you notice the “II” after “Mustache and Tiara Ball” earlier? Yes, this was the second year we’ve had this theme, so I actually made similar toppers last year. And I realized, I’m probably not alone needing toppers for this theme! So, what’s a girl to do? I added these printables to my Etsy shop! 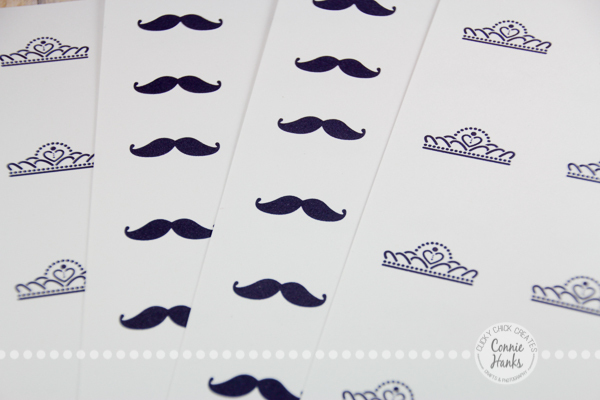 All that’s need after printing up the sheets, is a few different punches to create these perfectly adorable toppers! You can purchase the instant downloads from my Etsy shop – the MUSTACHES alone, the TIARAS alone, or a COMBO of both mustaches and tiaras! 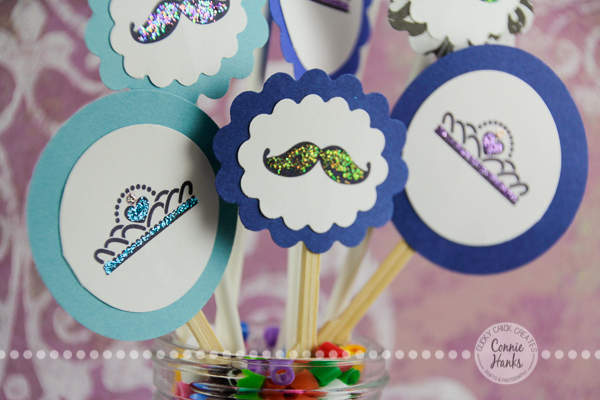 They were super easy to make with the printable, a handful of punches and of course glitter! Once they were punched and glued onto bamboo forks and lollipop sticks, I added a touch of glitter to really make them look like a million bucks! I ended up volunteering the night of the party taking candid photos, and I was so happy to see lots of little girls who had devoured their cupcake treats, but were still holding onto the toppers! So cute! 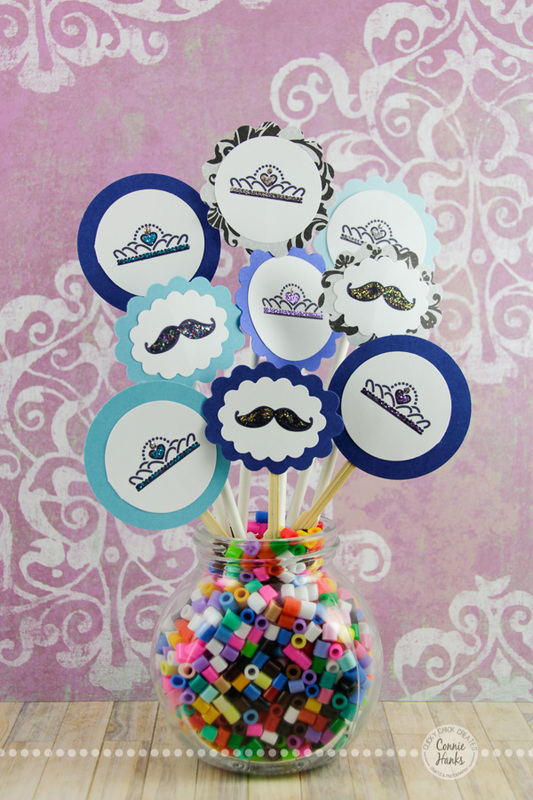 I hope you’re inspired to make some toppers for your next party! 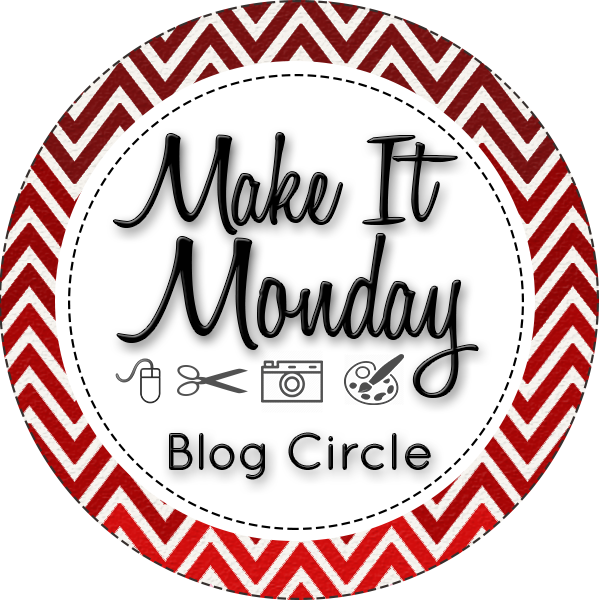 But until you’re ready to get into party planning mode, continue our Make It Monday circle and head on over to the uber talented and creative Melissa Shanhun at Digital Scrapbooking HQ. Before you delete those toddler selfies, see how Melissa told the story of a day through her adorable and precocious daughter Emily’s photos! And knowing Melissa, you’re gonna be smiling and wanting to know more about her lovely family! So head on over! True Stamp is almost here! Before I say good-bye, I just have to remind you about True Stamp, since it’s less than 2-weeks away! True Stamp is a one-day, online, LIVE event on March 28. All six classes will come to YOU via the magic of the Internet in a state-of-the-art web room. You’ll watch class demonstrations, chat with instructors and other students, and have the time of your stampy life – all without leaving home (or even changing out of your PJs!). I hope you’ll join me and a few hundred other of your new stamp-loving BFF’s ❤ Click Here to Sign Up! Welcome to another Make It Monday! Can you believe this is #17? So excited for the series and I hope you’re enjoying it as much as I enjoy creating projects to share! Are your creative juices flowing? Are you motivated to make some goodies?! I’d love to hear from you and see your creations, so be sure to let me know in the comments below! I read every single comment and love getting to know YOU! There are some fun plans in the works for the rest of the year, so be sure you don’t miss a single creative post and join the fun here! Did you know I opened up an Etsy shop the end of last year? I did indeed! It brings me great joy to share these creations with others who love hand-crafted creations, be it banners, decorations, cards, party supplies, and more! I created these goodies just in time for Valentine’s Day…coming up in just 12 days!! Are you ready to share your love, heart and kisses with your loved ones? These sweet banners will help set the stage for you and your honey loves! All of these are handmade by yours truly 🙂 I love adding the extra touch by dry or heat embossing to add texture, hand faux-stitching, distressing, stamping, cutting…whatever it takes to give it that extra something to make it extra special! Visit the Clicky Chick Creates Etsy shop to order yours today! When picking your papers, pick a patterned paper for your pennants (background) and a solid card stock for your letters. Adding custom touches to your letters helps them pop – think heat embossing, dry embossing for texture, glitter, hand faux-stitching and more! If your letters don’t pop against the patterned paper, add a neutral colored shadow behind the letters to give them some pop! So I have to ask you…how do campers create a Valentine? Keep the Make It Monday circle going, and head on over to my sweet friend Kristie Sloan’s Artful Adventures to find the answer! Her creativity is inspiring and her tutorials are fantastic! Be sure you don’t miss visiting her blog! So I have to ask, besides the menu planning, grocery shopping, food prepping, and house cleaning, are there any other Thanksgiving projects you tackle in preparation for the big day? Last year, in preparation for Thanksgiving, I decided to make customized place cards / gratitude cards that would be combined into a Thank You & Hostess gift for my mother-in-law. In preparation for a class I was teaching the day after our return from our Thanksgiving holiday, I had taken a bin of crafting supplies to work on while visiting for the week. In the bin, I had packed the supplies needed to make these tags. It really would be easy to travel with, even on an airplane! Interested in ordering some for your holiday table? Check out my Etsy shop! Are you following the Make It Monday hop? Did you land here from Beth Soler at Scrapping Wonders? Beth is sharing how to make a mini Thanksgiving folio album. If you haven’t stopped by her site today, be sure you do. But first, continue the Make It Monday hop and head on over to check out Kristie Sloan’s Artful Adventures! Kristie’s creating little paper house gift boxes for Thanksgiving treats. Her projects always inspire me, so I’m excited to see her post this week. Be sure to let her know you stopped by with some comment love! So what are you going to do first? Head over to check out Kristie’s paper house gift boxes? Check out my Etsy shop goodies? 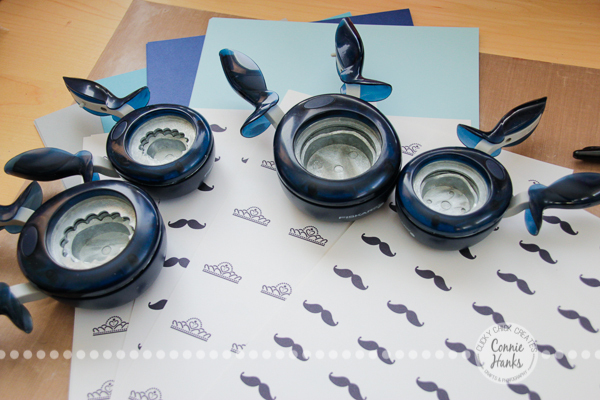 Check out the supplies listed below to create your own project? Whatever it is, I hope you love it! Welcome to another Make It Monday blog hop with a few crafty and creative friends from all corners of the world! 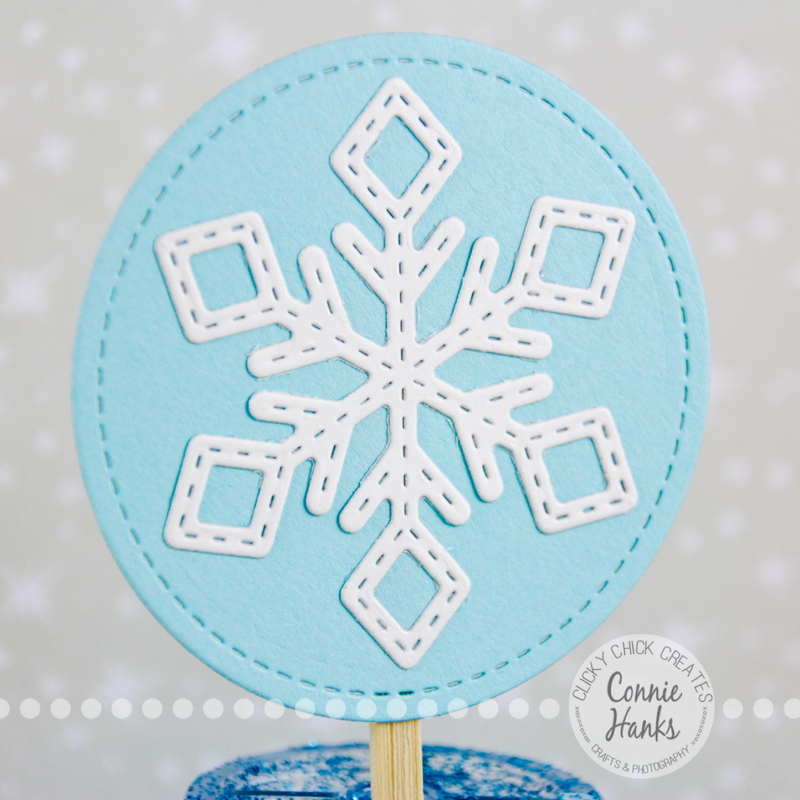 Today I’m sharing some fun ideas for Snowflake Cupcake Toppers! You might recall that my girls (ahem, most little girls) have gone through the Frozen phenomenon? It still continues! And besides Disney’s Frozen stars of humans, animals, snow and snowy creatures, the holidays are coming, so what a fun way to think about Christmas, winter or snowy decorations for yummy cupcake treats! In the past few months, my daughter’s (and I) have been to a plethora of Frozen-crazy little girl’s birthday parties! Everything from a Frozen Pool Party to a Frozen Spa party, including singing Elsa’s and Anna’s to face paintings by the sisters, and everything in-between! 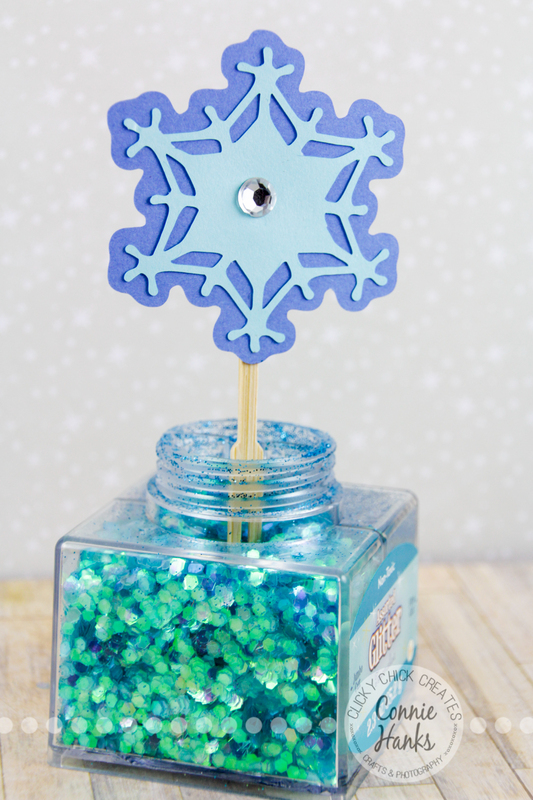 One of our dear friends decided she wanted her party to be a “Snowflakes in July” party, not a Frozen party. I offered to make a birthday banner (I do love to craft so much!) but I think my mind is on Frozen overload… The banner was definitely full of snowflakes, but my color scheme screams Frozen! Oops! I think she still loved it though 🙂 There definitely were no Anna’s, Elsa’s, Olaf’s or any other characters on the banner, just a ton of snowflakes! I actually made some Frozen paper crafts for my 5 year old’s birthday party in the spring, which feels like a million moons ago! I also made a banner for her, along with an Olaf activity/treat and custom goodie bags – you can check the post out here. Since I had a bit more time to focus on the banner this go around, I went full throttle and decided to make something I’d eventually love to sell on Etsy! So, if you’re interested, sign up HERE to be on my email list to be the first to know when my store opens! Besides banners, I plan to sell cards, as well as gift tags, and eventually digital download classes, too. UPDATE: FROZEN INSPIRED BIRTHDAY BANNER AVAILABLE ON ETSY!! CLICK HERE TO PURCHASE! !